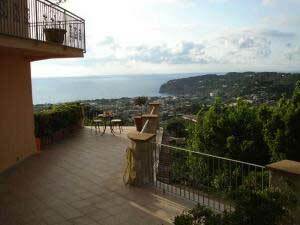 It is a small Hotel managed by the owners, lying in a quiet as well as panoramic position at the foot of the Epomeo Mountain. Particularly suited for young and informal guests, who love homely cooking. 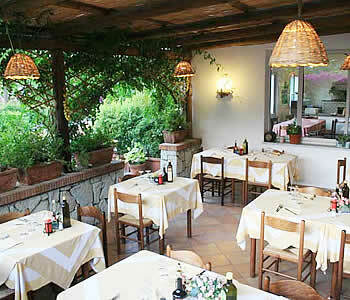 Its restauant is situated at 100m. 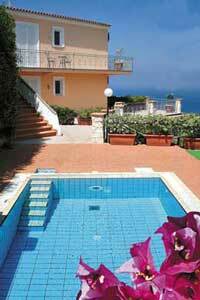 from the rooms' building, solarium, garden, private parking; baby sitter services against payment. 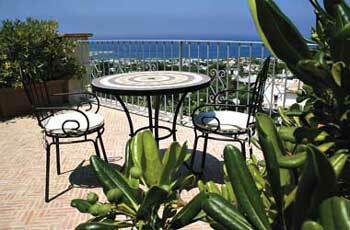 Poggio del Sole provides everything you might need to make your vacation perfect. All rooms feature a private and complete bath with hairdryer, telephone, satellite TV, personal safe, minibar , heating and air conditioning. 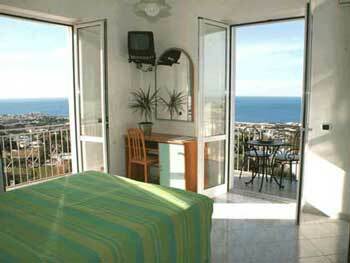 Each room boasts either a balcony or terrace with unobstructed views of the Mediterranean sea. 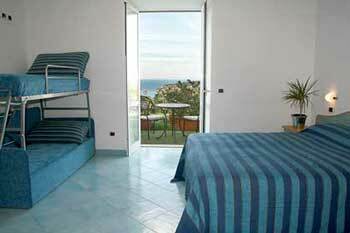 The Hostel also features a grand sundeck and pool with jacuzzi, showers, unbrellas, sun chairs and magnificent sea views. Whether you prefer a fresh and healthy finish to a big day, or a full-blown Italian feast, Mamma Colella's delicious cooking will delight you. Each day Tina Colella cooks up the best in Ischian and southern Italian cuisine using the freshest ingredients from the morning's markets. because its position grant sunshine until evening. wine production, seem to be suspended in time. flowers, numerous churches and watchtowers..
Family restaurant, all special food from the island, backpackers discounts. The Island of Ischia is connected to the main land with ferries and fast boats, they start every hour from "Molo Beverello, the main port of Naples, from there you can reach the three ports of the island (Ischia, Casamicciola and Forio). The first ferries in the morning are at 06:00 am and the lasts are at 10:00 pm. Arriving by train out of train station there are taxi or bus direct to the port witch is 2 Km far. Arriving by car from high-way exit Napoli go through "Tangenziale di Napoli" you can reach the port of Ischia or Pozzuoli (Ferries: Traghetti Pozzuoli e Caremar).